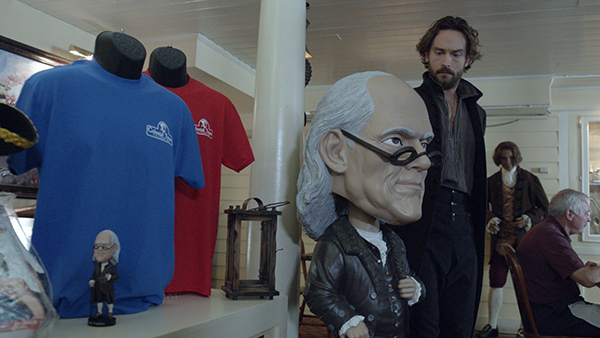 On October 1, the Fox TV show “Sleepy Hollow” featured our lifesized Ben Franklin and George Washington bobbleheads. You can also see our small versions in the background. They were a big hit! 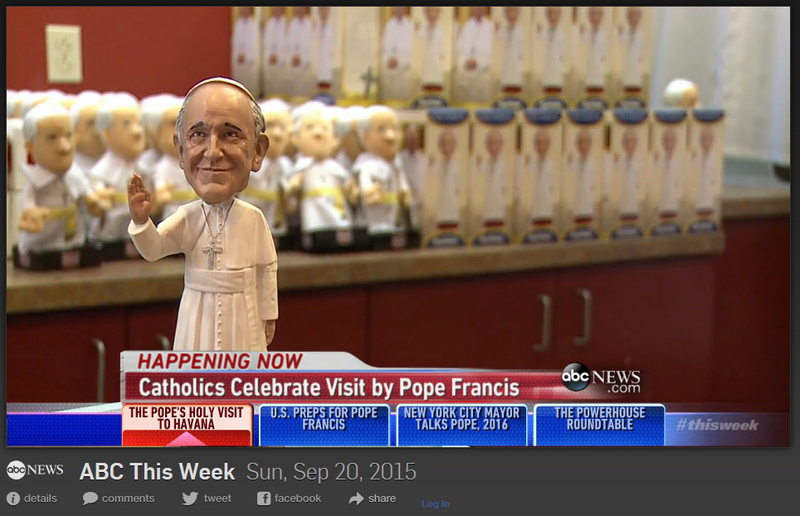 Pope Francis took the US by storm, and so did Royal Bobbles’ likeness of the Holy Father. 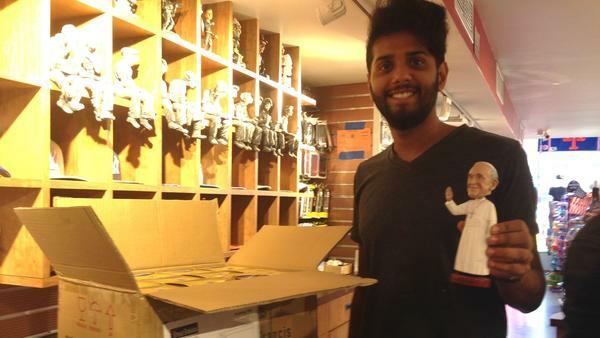 For weeks leading up to the Pope’s arrival and during his visit to Washington, DC, Philadelphia and New York City, tens of thousands flocked to see him, while thousands also purchased the company’s Pope Francis bobblehead, made more in scale and proportion than many of the company’s other collectibles, his hand raised in greeting and a warm smile on his face. This bobblehead definitely struck a nerve with people; It sold out repeatedly and hit Amazon’s top ranking in September. It became the best-selling bobblehead in the world that week! This rendition of the Pontiff also captured the media’s fancy. 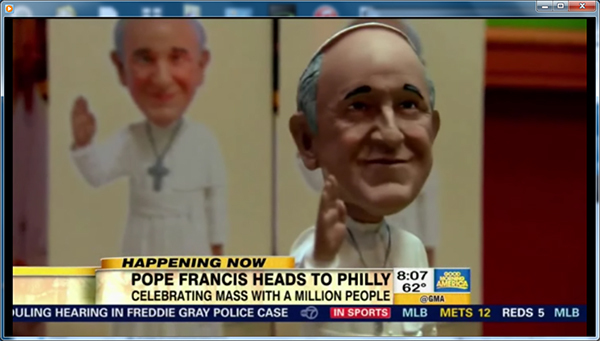 Here are samples of stories from across the country and even as far away as Australia and the UK, talking about Pope merchandise, with Royal Bobble’s creation front and center. 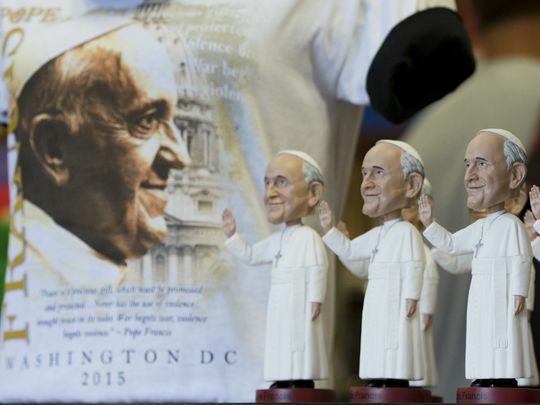 The Pope’s Swag: Francis’ visit has inspired a cottage industry of papal buttons, baseball caps, and bobbleheads. Around the 10 min. mark. At 12.22, direct mention of bobblehead and prior graphic. Gruen Transfer is a television program on Australia’s ABC1 network, called The Gruen Transfer, discusses the methods, science and psychology behind advertising. 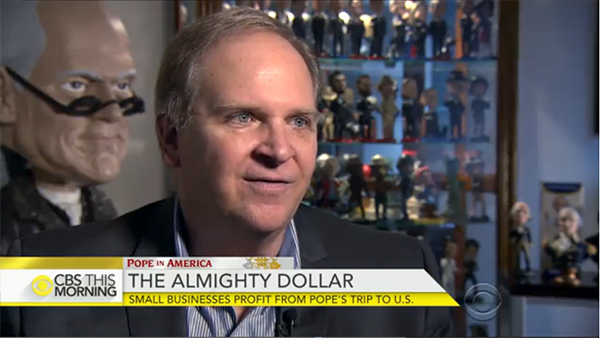 From bobblehead dolls to toasters, Pope Francis keepsakes become huge business in the U.S.
Want a Pope Francis bobblehead? 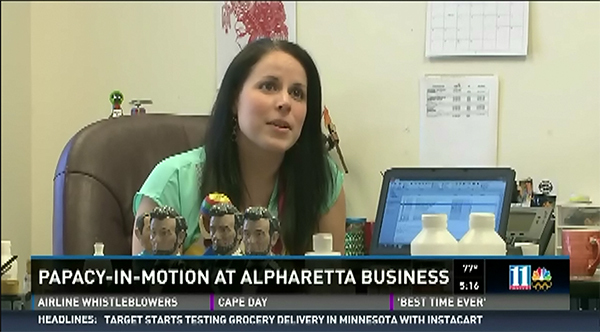 Alpharetta, GA (February 13, 2013) – Royal Bobbles has unveiled a new Elvis Presley “Aloha from Hawaii” bobblehead figurine featuring his signature American Eagle jumpsuit, just in time for the 40th anniversary of this historic event. This hand-painted, limited-edition model is crafted in high-quality resin and is currently available at gift shops and online retailers nationwide.